Passed Dealer Safety Inspection, Recent Oil Change.2000 Buick Century Custom FWD 20/30 City/Highway MPGRecent Arrival! Clean CARFAX. Passed Dealer Safety Inspection, Recent Oil Change.2000 Chrysler Sebring JXi FWD 19/27 City/Highway MPGRecent Arrival! Wilde East Towne Honda Spring Sales Event! Recent Arrival! 2007 Pontiac G5 Base Priced below KBB Fair Purchase Price! Alloy Wheels, Local Trade-in, Cruise Control, Ebony w/Cloth Seating Surfaces, Spoiler. CARFAX One-Owner. Odometer is 42140 miles below market average! Reviews: * If small cars light your fire and you prefer to "buy domestic," Pontiac has an attractive answer to your quest. Youthful buyers, in particular, are likely to gravitate toward Pontiac's compact coupe, lured by its curvy two-door profile and frisky performance, even in base-model form. Source: KBB.com Stop out to Wilde East Towne Honda to experience a higher level of customer service. Exceptional care that has helped us earn Honda&#39;s highest level of achievement, the Honda President’s Award. We have won this honor each year since opening. Our customer&#39;s survey and reviews helped us be recognized as the Wisconsin DealerRater.com Dealer of the Year. Also achieved consistently since 2014! Our family friendly staff look forward to serving all your automotive needs. You&#39;ll appreciate the fair prices and great service. Your family will love free popcorn at the Power Bar and finding the Star Fish in the huge aquarium. Located on Madison’s East Side, we are just 2 miles South of Sun Prairie off Hwy 151/90/94. Some vehicles may be subject to manufacturer safety recalls that, for various reasons, may not be repaired prior to sale. You may also check for open recalls at www.safercar.gov. Passed Dealer Safety Inspection, Recent Oil Change.2005 Toyota Sienna XLE FWD 19/26 City/Highway MPGRecent Arrival! 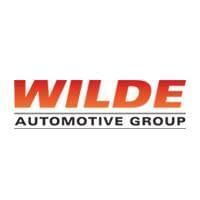 Wilde East Towne Honda Spring Sales Event! Recent Arrival! 2009 Ford Fusion SEL Duratec 3.0L V6, 6-Speed Automatic with Overdrive. 18/26 City/Highway MPG Awards: * 2009 KBB.com Brand Image Awards Reviews: * If you're looking for a five-passenger sedan that doesn't dissolve into obscurity when left in a parking lot, check out the 2009 Ford Fusion. It offers distinctive styling in line with the Chevrolet Malibu and Honda Accord, yet its priced closer to the smaller Honda Civic and Toyota Corolla. Source: KBB.com Stop out to Wilde East Towne Honda to experience a higher level of customer service. Exceptional care that has helped us earn Honda&#39;s highest level of achievement, the Honda President’s Award. We have won this honor each year since opening. Our customer&#39;s survey and reviews helped us be recognized as the Wisconsin DealerRater.com Dealer of the Year. Also achieved consistently since 2014! Our family friendly staff look forward to serving all your automotive needs. You&#39;ll appreciate the fair prices and great service. Your family will love free popcorn at the Power Bar and finding the Star Fish in the huge aquarium. Located on Madison’s East Side, we are just 2 miles South of Sun Prairie off Hwy 151/90/94. Some vehicles may be subject to manufacturer safety recalls that, for various reasons, may not be repaired prior to sale. You may also check for open recalls at www.safercar.gov. Passed Dealer Safety Inspection, Recent Oil Change.2006 Cadillac CTS 1SB RWDRecent Arrival! Odometer is 36326 miles below market average! Clean CARFAX. Passed Dealer Safety Inspection, Recent Oil Change, 3.0L V6 SMPI DOHC.2003 Toyota Highlander V6 FWDRecent Arrival!